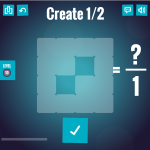 It’s a sad truth that most so-called “math games” are in reality just a series of quizzes. This is understandable, since drills and repetition are a time-tested way to build memorization so helpful in doing equations. Nevertheless, solving equations over and over can become tedious. Thus the challenge in designing a fun math game. A welcome exception is Satisfraction by Filament Games. 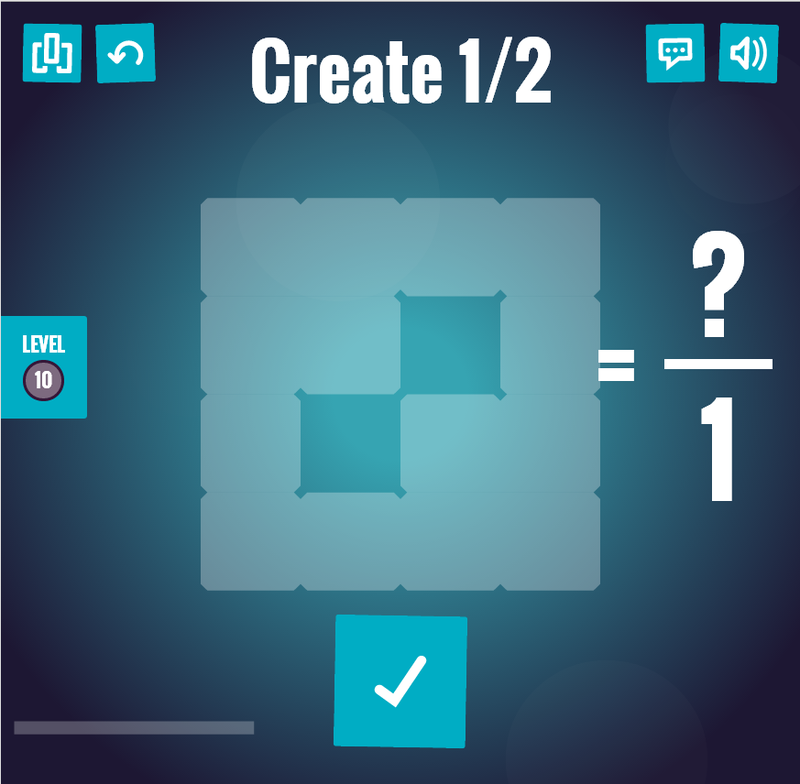 Rather than presenting equations, the game presents a series of puzzles which teach the fundamentals of simple fractions in an interactive way. Fractions are represented as shapes that can be divided into smaller parts, which can then be individually selected. A displayed fraction is updated as the player divides the shape and selects pieces within it. If the player gets an answer wrong, the feedback is immediate and the player is allowed to try again. Famed game designer Sid Meier (who created Sid Meier’s Pirates) said that a good game is “a series of interesting choices.” Satisfraction uses this principle as it allows players some choice in how to divide the shapes. The game’s first level is very easy, and as the difficulty level grows, it becomes less obvious how to divide the shape, which presents a pleasant challenge. The audio adds to player enjoyment. The music is nonintrusive yet intriguing, and a satisfying “slice” sound, as if paper is being cut, plays as the user divides each shape. Best of all, the game is free. Tagged Filament Games, games for learning, math, PlayWorthy, Satisfraction. Bookmark the permalink.